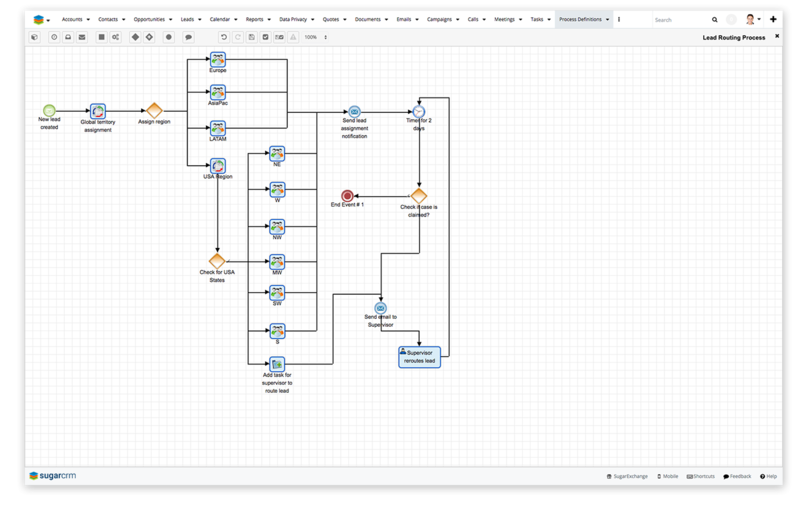 SugarBPM enables Sugar Enterprise and Ultimate edition customers the ability to automate complex business processes using a CRM workflow automation engine based on BPMN standards. Automated processes provides these customers increased productivity, reuse of best practices, and the ability to effectively manage the customer experience. SugarBPM can also be integrated with external systems to break down organizational boundaries and ensure cross-departmental effectiveness.